Very well constructed range bag, no worries about it coming apart. If you shoot production or single stack you will have no issue with the foam insert. If however, you shoot a long slide pistol, or a pistol with a comp.....it will not fit. The insert is too short. Irks me as I liked the potential protection for the pistols. I ended up with my three pistols in individual pouches and slid them into the lower compartment along with two mag sleeves. The upper front compartment holds two ammo bags, muffs, a container of small parts, a pistol cleaning rod, small bottle of Gun Shield, coffee mug, extra complete optical upper for my CZ CTS, small tool roll(screwdriver, Allen, and Torx wrenches. I abandoned the hydration system in favor of a small trauma kit. At the end of the day, I came to two conclusions; first, the side pockets are really too small and odd shaped, not very deep. Second, when loaded, the pack was too heavy to even really use it as a backpack. 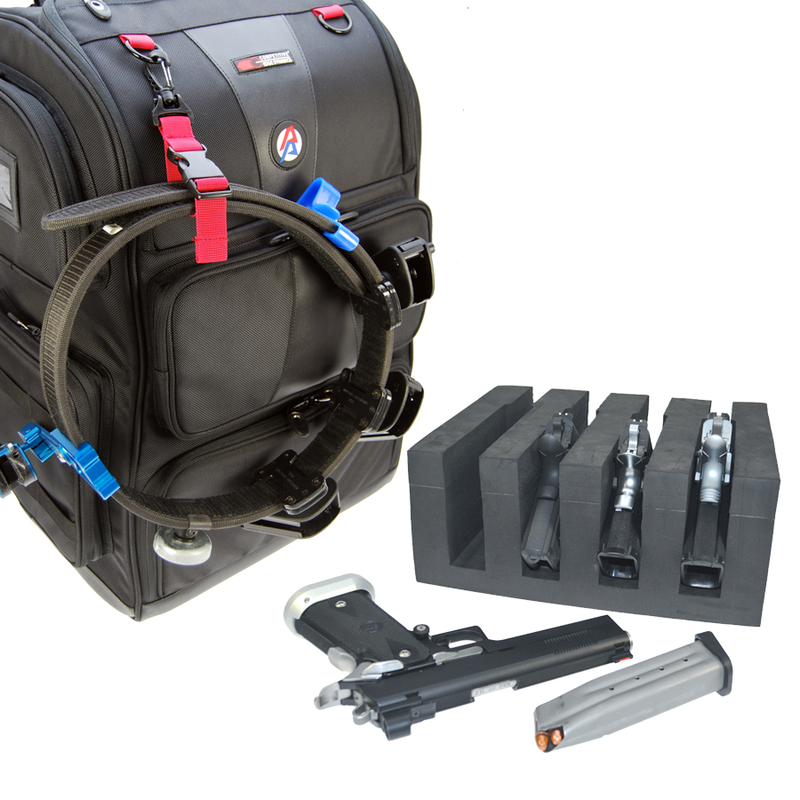 I then purchased the two-wheeled cart designed for this range pack pro. With the cart it is a pleasure to move from one station to another.....as all products I have purchased from CED, it is sturdy and well made( except for the design of the side pockets). It is easy to load into the back of my SUV in one piece, it's is heavy though at 75#. I use CED mag pouches, belt, and the new magnetic Open class holster and all is well.